Eugene artist Skinny Pete teams up with Mooky for the official music video for “No They Don’t Know.” Repping for the stoners out there, Pete kills his double-time flow while letting you know, there’s no way you can out smoke him. Mooky adds a dope third verse to bring things home. Check out Skinny’s Pete latest visuals also catch him on tour next month with the Bay Area’s own Clyde Carson. Highly respected Bay Area rhymer Clyde Carson is set to hit the road this November and further his already wide-reaching fanbase with “The Loyal To The Soil” Tour. 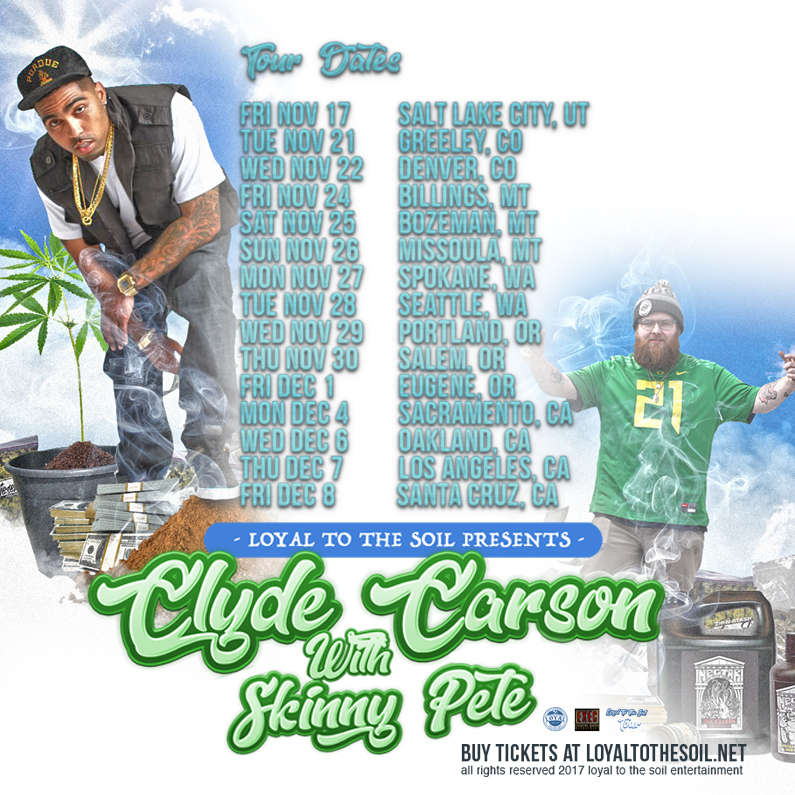 After hitting the road with Skinny Pete on E-40’s “On One” Tour, Clyde felt it would be fitting to enlist Skinny Pete as main support on the upcoming “Loyal To The Soil” Tour. 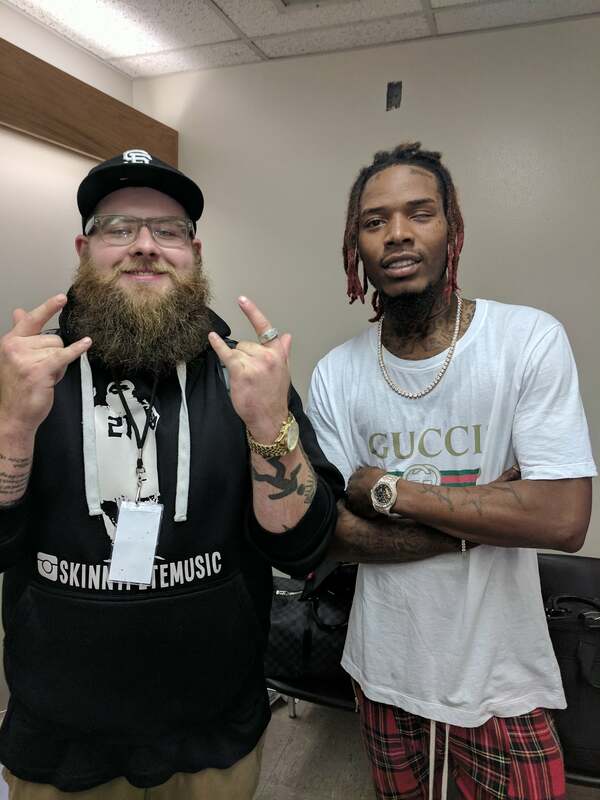 Skinny Pete has been working hard building his buzz through recent concert dates with Lil Wayne, Fetti Wap, Bone Thugs N Harmony, and more, as well as the recently released visuals for “Doin Dirt” and the freshly released “No They Don’t Know” featuring Mooky. Skinny Pete is set to release his upcoming EP Doin Dirt this Fall as well. Clyde Carson has set the bar high as one of the lead voices hailing from the California Bay Area. Clyde has amassed over 15 million views on the popular “Slow Down” video and has recently released the Mozzy assisted “Bring All Your Friends” visual from his most recent project Something To Speak About which features E-40, Keak Da Sneak, and More. “The Loyal To The Soil” Tour is set to hit 15 cities including Los Angeles, Oakland, Portland, Seattle, Sacramento, and more.